Shows «spacious skies» and flag. 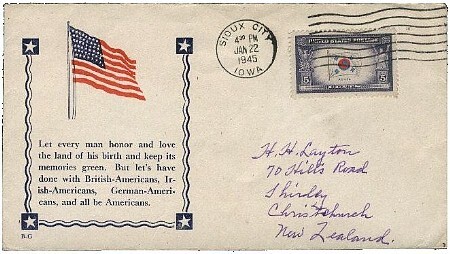 One of the first ten-stamp issue of a 6-year, 60-stamp series featuring US subnational flags. Shows «shrimp boat trailed by birds» and flag. One of the first ten-stamp issue of a 6-year, 60-stamp series featuring US subnational flags. Shows «humpback whale» and flag. 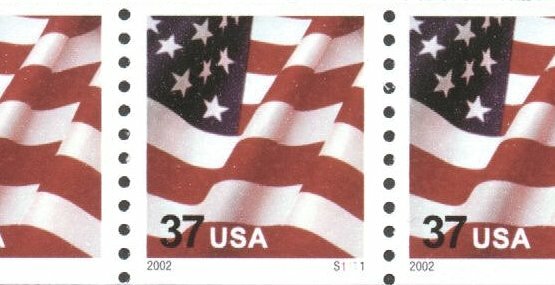 One of the first ten-stamp issue of a 6-year, 60-stamp series featuring US subnational flags. Shows «palm trees and mountains,» and flag. 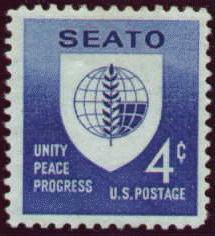 One of the first ten-stamp issue of a 6-year, 60-stamp series featuring US subnational flags. Shows «saguaro cactus, whose blossom is the state flower,» and flag. 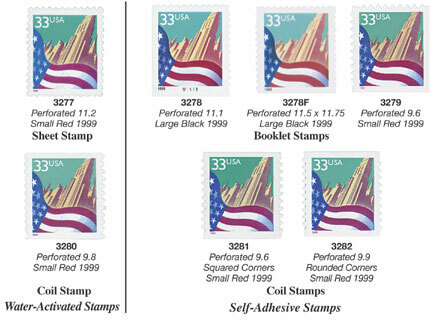 One of the first ten-stamp issue of a 6-year, 60-stamp series featuring US subnational flags. Shows «wood duck, often seen in state ponds and streams,» and flag. One of the first ten-stamp issue of a 6-year, 60-stamp series featuring US subnational flags. Shows «coastal area in central California» and flag. One of the first ten-stamp issue of a 6-year, 60-stamp series featuring US subnational flags. Shows «snowy peaks and evergreen trees» and flag. 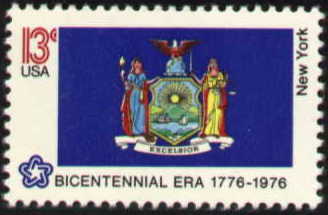 One of the first ten-stamp issue of a 6-year, 60-stamp series featuring US subnational flags. Shows «glimpse of the Connecticut shoreline» and flag. One of the first ten-stamp issue of a 6-year, 60-stamp series featuring US subnational flags. Shows «beach scene» and flag. One of the first ten-stamp issue of a 6-year, 60-stamp series featuring US subnational flags. 30 stars in staggered pattern: (3+2)×(3+3). Flag flying seen through “windows” shaped as letters "USA". white background, black "G", right side not perf. white background, blue "G", right side not perf. white background, red "G", right side not perf. white background, large black "G", not perf.